This tutorial will review the process of adding a menu item, which will allow your PHPFox users to see all members currently online. The first step of the process is to access the AdminCP area of your website. Simpy locate and access the AdminCP button at the top-right corner of the screen. 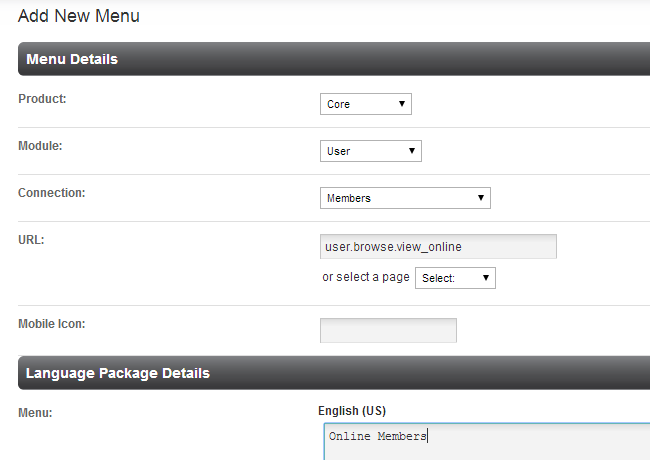 Click on the CMS tab at the main menu and then Menus > Manage Menus. Connection - Select Members (or wherever you wish to display the menu item).